This is a post with no photos but please don't go away. The problem is this little blog has taken over my life. NO JOKE! 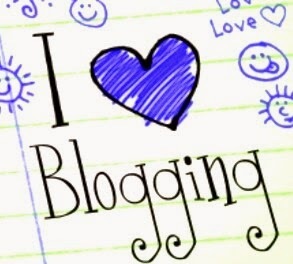 Blogging is all I think about. It's the last thing I think of before I go to sleep and the first thing I think of when I wake. I didn't know anything about Instagram, Twitter and had never heard of something called Pinterest but I know all about them now. I'm checking them every five bloody minutes. I will come home from work, fire up the laptop and sit either putting together a new post or browsing other sites, and catching up on Bloglovin. But it doesn't stop there, because when I switch off the laptop I take my ipad to bed and carry on upstairs!!!!!! Romantic hey? I'm sure that's why I even dream blogging. My camera now goes everywhere, stopping a million times to take a potential ‘amazing’ photo, and even to the point of not letting anyone eat their food until it has been captured on camera!!!! I'm always writing things down or making notes on my phone. Dear oh dear what's happened to me? Hubby even jokes (think he's joking) that I am neglecting my chores at home, you know, kids have no clothes to wear, no food in the cupboards, but hey, unimportant things like that have to wait when there’s blogging to be done right? In fact as I'm typing this at 11.30pm he's just shouted down to me from the bedroom that he feels like he's become a blog widow!!!! A lot of my friends and family have either never heard of a blog or are not interested but does that matter???? Nah...... I'm finding new friends that are on my wavelength to go alongside my existing ones. It happened by accident. Towards the end of last year I came across a blog on the internet. I really enjoyed reading it and have a real nosey streak. 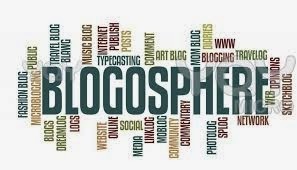 I then found Bloglovin and a couple more blogs on there fired up my interest. I could do that I thought. Although, I did think twice as I don't buy designer clothes to blog about (can't afford to), in fact I'm no fashionista at all, I don't eat in fancy pants restaurants, I'm just me! BUT one thing I did realise is that my husband and I have really busy lives and are always out and about. If nothing else (and no-one read it) it would be good to document my life and goings on. I started blogging in October 2013. I didn't have any experience with setting up a blog, websites, uploading photos or that HTML nonsense. Still trying to get my head around that one! I decided to start on Blogger, sorted out my name and set myself up. Thats sounds really easy peasey, and Blogger tells you it takes just a few simple steps and you're up and running. NOT FOR ME. Everything was confusing and I nearly gave up as I found it all so difficult. 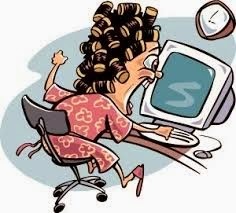 My laptop came close to being thrown out the window on several occasions I can tell you, and I have to be honest and say that the help given on the Blogger site is not that helpful at all. To say I was majorly frustrated with steam coming out my ears is putting it mildly!! I found myself googling and You tubing most things along the way and it's been invaluable. However, I am feeling chuffed to bits and so bloomin proud of myself that I have actually managed to put together this blog. It may not be up to a professional standard, or oozing style, sophistication or stunning photography but hey...I did it!!! Me, all by myself. I absolutely love this blogging malarky. I find it amazing that we can communicate with people all over the world or even right on our very own doorstep. I'm not doing it just to document my life now, I want to blog so that other people will enjoy what I write about. I don't have many followers yet, hardly any comments and sometimes I doubt what I'm doing and think my blog must be rubbish, but I'm hoping that will all change as times goes by, I suppose it's early days in the blogging scheme of things, I'm not even 6 months old yet. I appreciate my blog doesn't look very dynamic and I would like to change some things on it but I'm scared. Don't laugh, I really am. You see, sometimes I can't understand how my blog got to where it is now, let alone me braving it and trying to make changes. I worry I'll loose everything, and what a terrifying thought that is, brings me out in a hot sweat. I wish one of my friends knew about websites etc and could guide me, there's no way I would ever be able to afford for someone to do it for me, well, actually I don't know how much it costs but I'm pretty confident it would be quite a few bob. I'll update and make changes at some point, it's having the confidence in knowing you're doing it right, so if any of my fellow bloggers out there know of any good sites that would help me please let me know, I'd really appreciate your guidance and if you've any feedback on my blog, good or not so good I'd love to hear it. Did any of you feel the same frustrations? Felt like giving up? Addicted like me? Drop me a comment, it'd mean a lot. Hiya Steph! As you know I love your blog and so happy that we've met : ) well across the internet, but you know what I mean lol! I must admit I found it all so confusing at first and even now I'm constantly googling and you tubing to find answers and info on how to do different things on my blog. I think it takes time for us not so techy girls, haha. I can completly relate to everything you've talked about! I'm banned from blogging at the weekend lol as hubby feels neglected (bless him) It is amazing how it takes over your life and I am too always thinking about it! Keep up the good work, I think your blog is great and I keep telling myself 'Rome wasn't built in a day'. Mmmmm.......think Mr C will start banning me at weekends too before long! Having said that I don't really do much at the weekend anyway, and I get what you're saying, BUT just how long did it take to build Rome?????? !!!!!!!!! !